Up to 90% OFF Stylish Watches + FREE Gift! Up to 50% OFF Sports Items and Accessories! Up to 70% OFF Shades! Shopping Deals at AliExpress for Deals Hunters and AliExpress Coupons grabbers! AliExpress (www.aliexpress.com) was once a wholesale site which has recently turned into a global e-commerce platform, formed by small business sellers that offer a wide variety of consumer products worldwide. 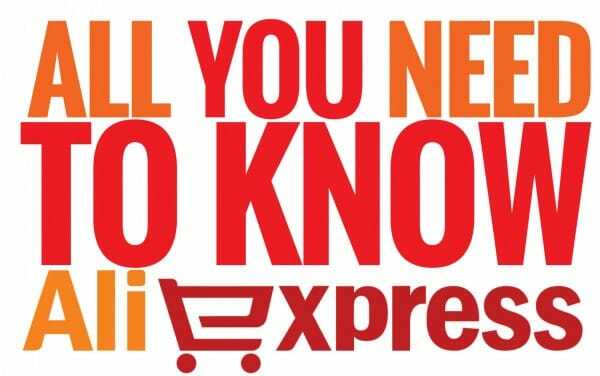 Launched in April 2010, AliExpress (www.aliexpress.com) is a global retail marketplace that targets consumers from all over the world, such as consumers from countries like Russia, the United States and Brazil. With this platform, global consumers can directly purchase goods from wholesalers and manufacturers in China, and have access to a wide variety of products at wholesale prices. 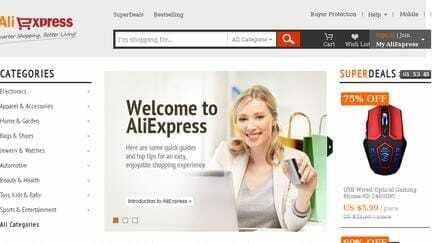 In fact, AliExpress is a business within Alibaba Group. AliExpress offers millions of great product, with 40 categories and convenient navigation. Consumers will get to enjoy nothing but the best value online as the site offers unbeatable prices offered by thousands of sellers. What’s even better, almost all of AliExpress sellers offer free delivery to their customers. Shipping is made available to over 200 countries and regions around the world. Express shipping is optional. Security is another main reason why more consumers worldwide today choose to shop at AliExpress. The site offers its customers with secure and easy online payment –VeriSign and PCI protection help keep consumers’ information safe always –credit card and local payment methods also ensure wonderful user experiences among AliExpress customers. Trust is always an issue when dealing with online transactions. At AliExpress, consumers are entitled to a buyer protection guarantee, which means a money refund will be given to consumers should they fail to receive their goods or in the case of foul product descriptions. Currently, all product prices on AliExpress are all displayed in US dollars. The site, however, offers a link that consumers can click on in order to check out the current exchange rates. In enhancing its service, AliExpress also provides a ‘New User Guide’ section where consumers can read on its step-by-step purchase flow, checkout options, VIP membership and exclusive coupons as well as great deals. Shopping at AliExpress is pretty easy, even for beginners. All they need to do is to follow these easy steps: open an account, place order, perform checkout, and open delivered package. And use our AliExpress Coupons to get discount off your purchase! With ShopCoupons I love AliExpress more! I am a busy person and ShopCoupons promote me with quick deals that I can grab instantly especially now they have AliExpress! Keep up the good work ShopCoupons! Upon creating a new account, consumers will get to enjoy a free USD5 coupon. 500 coupons are being offered every day. Another benefit that consumers will get to enjoy when having an account at AliExpress is the convenience of tracking for the latest deals and also the status of their current transactions. Placing an order is easier too as all products come along with high-quality photos and detailed descriptions. Consumers can also opt for payment methods such as Qiwi, Solo or Carte Bleu if they are not credit card holder. For those who prefer fast shipping, express shipping such as DHL, EMS, UPS or FedEx. As for VIP Membership AliExpress VIP membership has 3 levels: Platinum, Gold and Silver. Every level is important as it will determine the kinds of benefits and privileges that a consumer is entitled to. All consumers who meet the minimum payment requirements will automatically be assigned to a level, and their membership status will be reviewed and renewed from time to time. Apart from that, all VIP members will get the chance to enjoy email response priority, monthly VIP wholesale trends alert, monthly VIP special discounts and exclusive coupons. We strive to grab the best deals and coupons at AliExpress.com so do check our website for the latest hidden deals and AliExpress Coupons that you might not find on the site itself! Check out this lady on her review on AliExpress.com!